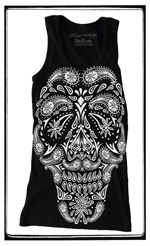 "Paisley Calavera" black tank top (2x1 rib) by Firme Clothing available in medium, large, and x-large. 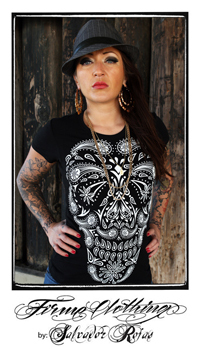 Classic Firme Clothing Graphic Tee of a Calavera formed by bandana-style paisleys. 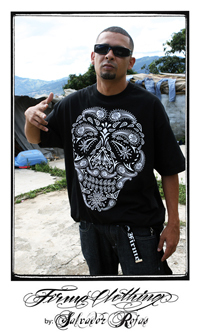 Pray for Us by Mala Suerte Co.